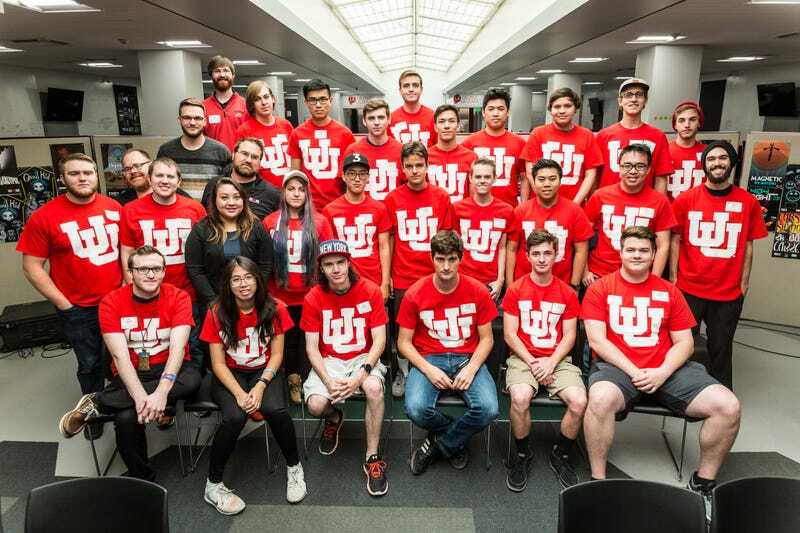 Tune in every weeknight to the University of Utah Esports Twitch stream and you can catch players from universities across the Pacific-12 conference competing in League of Legends, Hearthstone and Rocket League. It is the first league of its kind, an organization bringing together schools from a major conference for esports competitions. The Pacific Alliance of Collegiate Gamers, or PACG, a unique student-operated organization, has been in the midst of its first season since the spring semester opened and will culminate in a conference tournament this April. PACG, though, was never supposed to exist. In 2016, the Pacific-12 conference committed to the creation of an esports league. It was something Pac-12 commissioner Larry Scott and others trumpeted with great enthusiasm as the next big thing for their brand. That is, until the end of 2017 rolled around and, with hardly a whisper, the would-be Pac-12 Esports League (or whatever they would have called it) disappeared without a trace. I reported on that story last year for Compete. Pac-12 officials offered little justification for their decision to back out from their plans to either the public or the student organizations hoping to head the Pac-12's new endeavor. An idea that was once “a natural fit for many of our universities located in the technology and media hubs of the country,” as league commissioner Larry Scott put it, was gone in an instant. “It was on the one-inch line,” A.J. Dimick, esports director at the University of Utah’s Entertainment Arts and Engineering department, told me. Indeed, records discovered via Freedom of Information Act requests from Pacific-12 universities revealed the conference was far enough in its plans to engage in licensing deals with multiple game companies. An e-mail from Scott showed the conference had drafted agreements with Riot Games and Electronic Arts, as well as a production partner agreement with the Electronic Sports League and sponsorship deals with Intel and DMG. Hart later proposed a vote to table the proposal to create a Pac-12 esports league and stated she would vote no if a motion to proceed hit the table. That decision left students at every Pac-12 university with the rug pulled out from underneath their feet. Of those 12 student groups, 11 came together to form PACG in the wake of that shock. PACG, then, is a push for legitimacy without the conference office behind it. It exists to attempt to prove to Pac-12 administrators that esports are worth the headaches — navigating the athletic department boosters who will inevitably wonder why their money is going towards gaming; fighting the stigma of gamers as antisocial or, worse, violent; figuring out how to define and enforce amateurism in a world where many esports tournaments pay cash and players can earn money streaming on Twitch. What remains to be seen is if esports has enough to offer the NCAA to make the headaches worth it. Professional esports organizations can offer sports franchises like the Yankees a new way to interact with a young fanbase they are desperately looking to reach. How, though, will amateur esports reach people? Without the prospect of pay and the possibility of restrictive eligibility requirements, college esports may lose access to the highest level esports players, the players who typically capture the most eyeballs. What remains to be seen is if this approach can actually resolve the conflicts a major conference like the Pacific-12 currently have with esports. If a major conference esports league enacts restrictive amateurism standards, will the product stand up? Sure, tradition and atmosphere are vital to the success of major college sports. But the real draw, the reason people pay for seats and television packages, is the talent on the field or court. If amateur esports talent like PACG’s players don’t prove to be a draw worthy of the investment and resources Dimick and the rest of the PACG are working towards, though, don’t expect the NCAA to put its extremely lucrative cartel at risk for a few elite gamers. Esports and universities seem like an undeniable match, but the push to integrate with athletics may prove to be misguided. After the sacrifices the NCAA will inevitably require to gain entrance into its kingdom, can esports retain its soul? Dimick expressed a desire to keep governance with the students and to ensure the league enacts rules that make sense for the entire student body, but that may be anathema for the NCAA. “Comments like his,” Dimick says, “Are things that we hope we can try to prove wrong about esports.” To do that, PACG will have to build from double-digit viewership Twitch streams to filling 20,000-seat college stadiums. The Pac-12 may not believe in them, but they sure believe in themselves.